Sandy Blaser provided me with a copy of this leaflet. 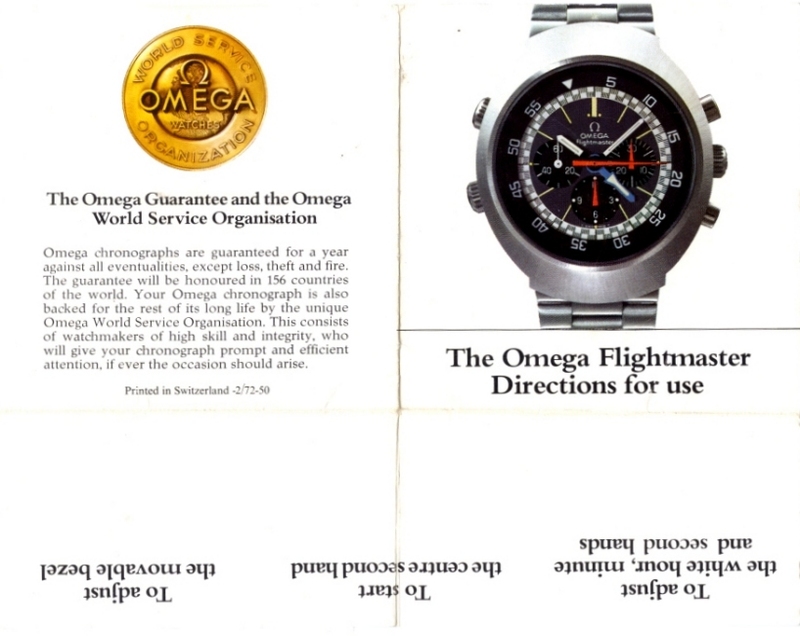 The information contained in this leaflet is basically the same as in the Omega flightmaster - Specially made for pilots booklet. 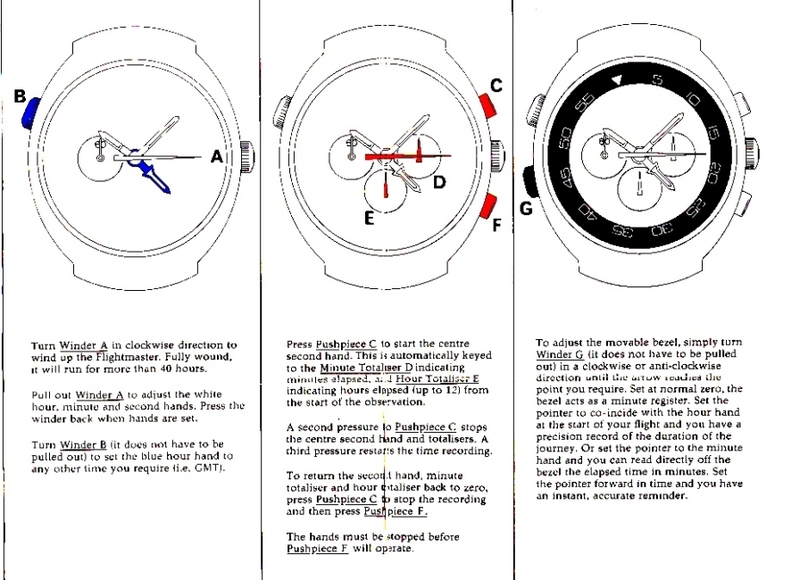 ( or click here for the German version). This is however "just" a leaflet. It is basically a folded, A4 sheet of paper, printed on both sides. It is likely that this was originally presented with the watch & the booklets where more sales/advertising items. It is also likely that this leaflet was available in other languages. Does anyone out there have a copy they'd like to scan & send me ? As usual, click on the pics to open a new browser window with a larger ( 160 or 350 KB) version. 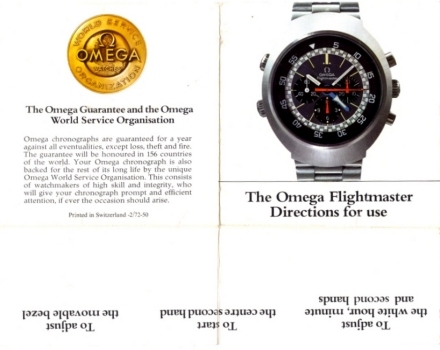 If you have any older Omega Catalogues, you'd like to share, please feel free to E-mail me. I don't mind hosting this kind of information for others. Once again, many thanks to Sandy for sending me these scans.